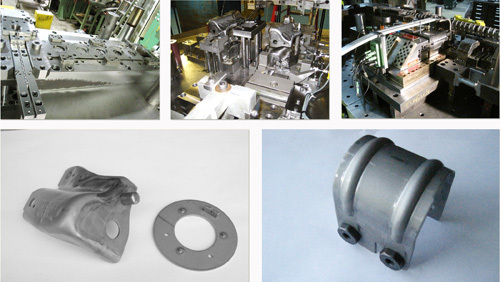 J-Tech Design, Ingersoll, Ontario, Canada, specializes in tooling for in-die assembly of components. Used within progressive and transfer dies, J-Tech tooling inserts components top-down, bottom-up and cam-action into the stamped parts. Insertion can be controlled by force or distance.